The ultimate goal of the VERSUS project is the first observation of repulsive Casimir-Lifshitz forces in macroscopic plane-parallel systems. To this end, it will focus on the design, fabrication, and characterization of optical materials that allow controlling the intensity and nature of the Casimir-Lifshitz force, so that levitation phenomena can be observed and characterized due to the balance between the latter and gravity force. The MODO project is focused on the optimization of the optical design of optoelectronic devices, be they photovoltaic or light emitting ones, with the aim of increasing their efficiency or endow them with new functionalities. The hypothesis on which it is based is that this goal can be reached by means of the integration of optical materials that allow controlling the radiation-matter interaction in the absorbing or optically active layers of the device. Energy-efficient and environmentally friendly light sources are an essential part of the global strategy to reduce the worldwide electricity consumption. Light-emitting diodes (LEDs) emerge as a key alternative to conventional lighting, due to their high power-conversion efficiency, long lifetime, fast switching, robustness, and compact size. Nonetheless, their implementation in the consumer electronic industry is hampered by the limited control over brightness, colour quality and directionality of LED emission that conventional optical elements relying on geometrical optics provide. NANOPHOM seeks to explore new ways of controlling the emission characteristics of nanophosphors, surpassing the limits imposed by conventional optics, through the use of nanophotonics. The development of reliable and scalable nanophosphor-based photonic materials will allow ultimate spectral and angular control over the light emission properties, addressing the critical shortcomings of current LEDs. The new optical design of these devices will be based on multilayers, surface textures and nano-scatterers of controlled composition, size and shape, to attain large-area materials possessing photonic properties that will enable a precise management of the visible radiation. The POLIGHT project focuses on the integration of a series of inorganic nanostructured materials possessing photonic or combined photonic and plasmonic properties into polymeric films, providing a significant advance with respect to current state of the art in flexible photonics. These highly adaptable films could act either as passive UV-Vis-NIR selective frequency mirrors or filters, or as matrices for light absorbing or optically active species capable of tailoring their optical response. The goal of this project is two-fold. In one aspect, the aim is to fill a currently existing hole in the field of materials for radiation protection, which is the absence of highly flexible and adaptable films in which selected ranges of the electromagnetic spectrum wavelengths can be sharply blocked or allowed to pass depending on the different foreseen applications. In another, the POLIGHT project seeks to go one step beyond in the integration of absorbing and emitting nanomaterials into simple flexible polymeric matrices by including hierarchically structured photonic lattices that provide fine tuning of the optical properties of these hybrid ensembles. This will be achieved by means of enhanced matter-radiation interactions that result from field localization effects at specific resonant modes. The opportunity arises as a result of the recent development of a series of robust inorganic photonic structures that present interconnected porous networks susceptible of hosting polymers and thus inheriting their mechanical properties. The MODO project will focus on the development of optical materials to optimize the performance of optoelectronic devices such as solar cells or light emitting devices, thereby improving their energy conversion efficiency. The main objective of this proposal is to increase their performance by controlling light absorption and emission processes occurring in the materials composing these devices. This will be achieved through the design and integration of photonic nanostructures whose properties are also compatible with the manufacture and operation requirements of these systems, such as thermal, chemical and mechanical stability, durability, ease of processing and scale-up. HOUSESS – HIGHLY OPTIMIZED UNIT FOR SUSTAINABLE ENHANCED SOLAR SYSTEM. Abengoa Solar New Technologies coordinará el proyecto denominado “Housess -Highly Optimized Unit for a Sustainable Enhanced Solar System”. El proyecto se centra en el desarrollo de un sistema híbrido fotovoltaico térmico para grandes plantas de producción, caracterizado por una mayor eficiencia, menores costes que la tecnología estándar termosolar y gestionabilidad de la electricidad generada. 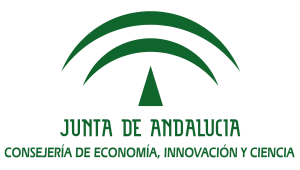 El proyecto ha sido subvencionado dentro de la Programa estatal de I+D+i orientado a los Retos de la Sociedad del Ministerio de Economía y Competitividad, con número de expediente RTC-2014-2333-3. 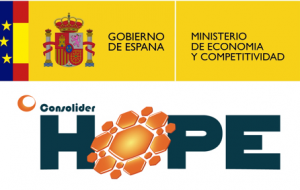 El consorcio del proyecto Housess está constituido por las siguientes empresas, universidades y centros de investigación: Abengoa Solar New Technologies, Universidad Politécnica de Madrid, Instituto de Ciencia de Materiales de Sevilla (CSIC) e Instituto de Ciencia de Materiales de Madrid (CSIC). This project has received funding from the European Union’s H2020 Programme for research, technological development and demonstration under grant agreement no 657434. The PhoLED project seeks to largely surpass the optical performance of state-of-the-art light emitters devised for illumination applications and contribute to solve some of the main technical limitations that the current technology presents. This project aims at integrating novel optical nanostructures and emitters, such as colloidal quantum dots or nanophosphors, to yield the next generation of light-emitting devices in which full spectral and angular control over the emission properties will be possible. The approach focuses on the development of: i) new synthetic routes to achieve efficient nanophosphors, and ii) preparation and processing strategies, based on surface textures and colloidal scatterers, to attain large area optical nanostructures possessing photonic properties that will allow a precise control on the intensity, angular distribution and color quality of light emission. Results achieved within this project will provide significant advance both in the comprehension of fundamental phenomena as well as in the development of versatile solid-state lighting devices of optimized efficiency, aiming to overcome technical barriers and maximize performance. The project’s outcome is twofold: a substantial expansion of the preparation of optical nanostructures to control light-mater interaction, and the practical realization of nanostructured lightemitting devices with unprecedented properties. This project has received funding from the European Union’s Seventh Framework Programme for research, technological development and demonstration under grant agreement no 622533. It is the main goal of this project to bring to the host institution and the European Research Area the knowledge and technology to prepare current record flexible dye sensitized photovoltaic devices, previously developed by the candidate in South Korea and then the USA, in order to be able to further improve them, while endowing them with semi-transparency, using stretchable and bendable optical materials. The candidate has demonstrated that several key materials and processes provide better performance of bendable dye solar cells, i.e., enhanced efficiency and flexibility, by allowing the preparation of electrodes in which the electron diffusion length is longer and charge collection efficiency is consequently enhanced. However, highly efficient dye solar cells are opaque as a consequence of the particular diffuse scattering design employed to improve light absorption, which limits their application in building or automotive integrated photovoltaics. This proposal seeks to solve such drawback by introducing photonic nanostructures in different configurations, yielding both light harvesting enhancement and preserving transparency, hence placing Europe at the forefront of research in this specific area within the field of renewable energy. This final goal will be attempted through different approaches, each one challenging from the materials science perspective. Preparation of such highly efficient and transparent devices will combine the flexible solar cell processing tools previously developed by the candidate with the versatile optical material preparation techniques pioneered by the host institution. More specifically, integration of novel porous flexible photonic structures into the light harvesting layer, use of flexible mirrors attached to the back of the counter-electrode, and designed distribution of scatterers will be employed to reach the target. In this project the modifications of both optical emission and absorption of nanomaterials of different sort (rare earth doped nanoparticles, semiconductor quantum dots, metallic nanoparticles, and films of organic dyes of nanometer dimensions) that occur when they are embedded in different types of photonic structures are being investigated. Both fundamental and applied aspects of the subject are analysed. Efforts are mainly focused on materials of current technological interest for solar cells, sensors and light emitting devices. From the applied point of view, this project finds its motivation in the possibility that photonic structures offer of modifying absorption and emission processes in a controlled manner so that they can be inhibited or amplified depending on the specific goal pursued. Particularly, we seek to put into practice these concepts to generate new designs of more efficient solar cells, capable of harvesting a larger amount of the incident radiation, and in the development of films for sensing devices responsive to modifications of different kind, such as presence of targeted molecules, variations of ambient gas pressure, etc… Also, more efficient or controlled light extraction from light emitting devices is sought after. The development of small prototype devices to prove the novel concepts under research is also an objective of this grant proposal. In its more fundamental aspect, our project aims at deepening our knowledge of the interaction between light and matter in systems in which there exists a strong dispersion and anisotropy of the dielectric constant, and in which it is possible to attain very low photon propagation speeds. For this analysis, different types of porous photonic structures are being employed, such as one-dimensional and three-dimensional photonic crystals, as well as disordered assemblies of particles, as hosts in which a wide range of organic and inorganic nanomaterials are being integrated in different configurations and whose absorption and emission are being experimentally and theoretically studied. Although this project has a fundamental character due to the nature of the preparation techniques and complex optical properties we seek to analyze, it is our aim to continue generating and transferring intellectual property based on the novel concepts, properties and designs which are the subject of our research. The project objective is the development of flexible interference filters reflecting selected ranges of ultraviolet (UV), visible (Vis) and infrared (IR) radiation. In addition, they are transferable and adhesive, allowing their adaptation to different types of surfaces. An immediate application of these new dielectric mirrors is their use as adhesive and transparent skin protectors against high energy solar radiation (mainly known as the UVA range, wavelengths from 315 nm to 400 nm). Therefore emphasis has been placed on integration of polymers compatible with human skin. Nanostructured metal-oxides, and organic conductors with luminescent properties, allow to realize a range of photovoltaic and electrooptical devices that will contribute significantly to the production of carbon-free energy as well as to its efficient utilization in general lighting. This national project unites chemists, physical chemists, and physicists, with experience in organic and inorganic synthesis, semiconductors synthesis and processing, fundamental materials characterization, and the fabrication and characterization of devices, in order to realize a number of modern electrooptical devices such as molecular solar cells and organic light-emitting diodes (OLEDs). The main scientific elements of the project are: the preparation of substrates, the formation of semiconductor metal oxide nanostructures, the synthesis of molecular elements of functionalization and polymer materials, the analysis of morphologies, the control of the organic conductors and the interfaces. As a major technical objective, the integration of these elements in complete devices at the lab scale will be pursued, including dye-sensitized solar cells (Grätzel cells), plastic solar cells, hybrid organic-inorganic LEDs, light-emitting electrochemical cells (LECs) and OLEDs integrated with other devices. The objective of the project is to achieve substantial improvements in efficiency in a solar cell by implementing in it photonic crystals. More specifically, this project aims to study the effect of anomalous propagation of electromagnetic radiation that takes place in photonic materials on the efficiency and the performance of dye solar cells of different types. The manufacture of thin films of colloidal particles of different types of oxides (titanium oxide, tin oxide, zinc oxide, silicon oxide, etc.) has been performed. The particles have been disposed both in an ordered network (colloidal crystal) and randomly dispersed but being part of a superstructure that shows a greater length scale order (nanoparticle multilayer structures). In this project the modifications of both optical emission and absorption of nanomateriales of different sort (rare earth doped nanoparticles, semiconductor quantum dots, and films of organic dyes of nanometer dimensions) that occur when they are embedded in a photonic crystal structure. Both fundamental and applied aspects of the subject will be analysed, efforts being focused on materials of current technological interest. From the applied point of view, this project finds its motivation in the possibility that photonic crystal offer of modifying those absorption and emission processes in a controlled manner so that they can be inhibited or amplified depending on the specific goal pursued. Particularly, we seek to put into practice these concepts to generate new designs of more efficient solar cells, capable of harvesting a larger amount of the incident radiation, and in the development of films for sensing devices sensitive to modifcations of different kind, such as presence of targeted molecules, variations of ambient gas pressure, etc… In its more fundamental aspect, our project aims at deepening our knowledge of the interaction between light and matter in systems in which there exists a strong dispersion and anisotropy of the dielectric constant, and in which it is possible to attain very low photon propagation speeds. For this analysis, we will employ photonic crystals with three dimensional order as hosts in which a wide range of organic and inorganic nanomaterials will be integrated in different configurations and whose absorption and emission will be experimentally and theoretically studied. The aim of this project is to study the modification of the optical absorption and emission of chromophores as a result of being part of a photonic crystal structure. This analysis will be done both from the applied and fundamental point of view, focusing on materials of interest for current optics or pigment industry. The main motivation of our research regarding its possible applications is the possibility to vary these optical phenomena in a controled manner, so they can be amplified or inhibited to will. In its fundamental aspects, our proposal seeks a deep understanding of the interaction between light and matter in which there exists a modulation of the dielectric constant and strong dispersity effects, and in which photons can travel at very low speeds. For this analysis, we will fabricate colloidal photonic crystals as matrices in which we will infiltrate the different organic and inorganic dyes or chromophores whose absorption and emission will be studied. Also, new photonic crystal structures in which these active compounds will be included as part of an optical dopant will be fabricated. The optical behaviour of these extrinsic photonic crystals will be analysed. Collaboration project with a research group belonging to the CONICET (Argentina) on synthesis of hierarchical titanium oxide, its implementation in solar cells and the theoretical modeling of their response. The improvement of the design of solar cells was achieved based on a better understanding of fundamental phenomena involved in the sought efficiency enhancement. The main objective of this project was making new electrolyte semiconductor junction solar cells based on nanostructured coating made of materials such as TiO2, ZnO, Fe2O3, Nb2O5, WO3, and Ta2O5, aiming at an enhancement of the energy conversion efficiency due to anomalous phenomena of light propagation.